Our waxing is fantastic and offers the best in the Diamond Valley Area. PHARMACEUTICAL STANDARDS Guinot’s industrial policy is based on the most demanding standards in the medical and pharmaceutical manufacturing field. Such is the way for the Guinot plant, a manufacturing and international logistics platform, that will see its development meet the GMP standard (Good manufacturing practices). Free from parabens. For over 50 years, Guinot has maintained its philosophy and skills with its 11,000 beauty salons and spa’s in 70 countries worldwide, including being number 1 in France. Beauty Delphine is a GUINOT salon and start achieving real results TODAY. 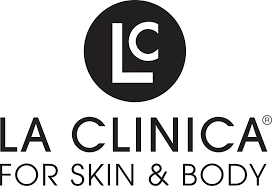 La Clinica is an Australian Cosmeceutical Skin care product, made in Victoria, that delivers results to improve skin conditions. La Clinica uses plant derived organic ingredients, botanical extracts, essential oils, vegetable oils and waxes. Products are not tested on animals. Suitable for all skin types. Beauty Delphine offers la Clinica’s Body Treatments, Facials & Glycolic peels. Osmosis offers solutions to various conditions including but not limited to rosacea, different types of acne, aging, hyperpigmentation, and many other conditions, without causing topical or internal trauma. Instead of masking symptoms, Osmosis tackles what causes the problems. Here is how we get to the root of the condition. Real results require 4 revolutionary strategies that work in partnership with the skin. Empowering your skin and body’s immune system by providing innovative ingredients that spark tremendous repair. Targeting the source of skin conditions and many internal issues using a holistic, inside-out approach. Using liposome delivery (6 times better penetration) to target the deeper layers of the skin where damage and collagen creation actually occurs. Using advanced but natural ingredients to activate DNA and oxidation repair, collagen formation, growth factor re population, and to increase the delivery of skin nutrients. This creation of perfect balances allows you to get well, be well, and stay well. Eye of Horus Mascara uses natural ingredients in the style of the ancient Egyptians to deliver cosmetics products that are affordable non-irritating and effective. As the seasons change, so does your skin, don’t compromise your look with a foundation that is too light or too dark. Liquid foundation, powder foundation, translucent powder and BB cream. O Cosmedics provides precision skincare in every way. O Cosmedics are made from the purest combination of medical grade ingredients for good skin health.